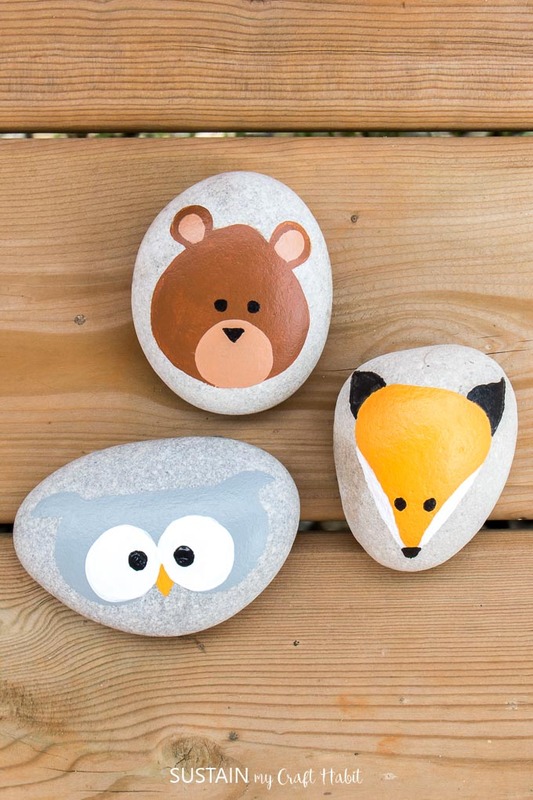 Looking for some fun rock painting ideas? Turn ordinary stones into adorable little pumpkins. 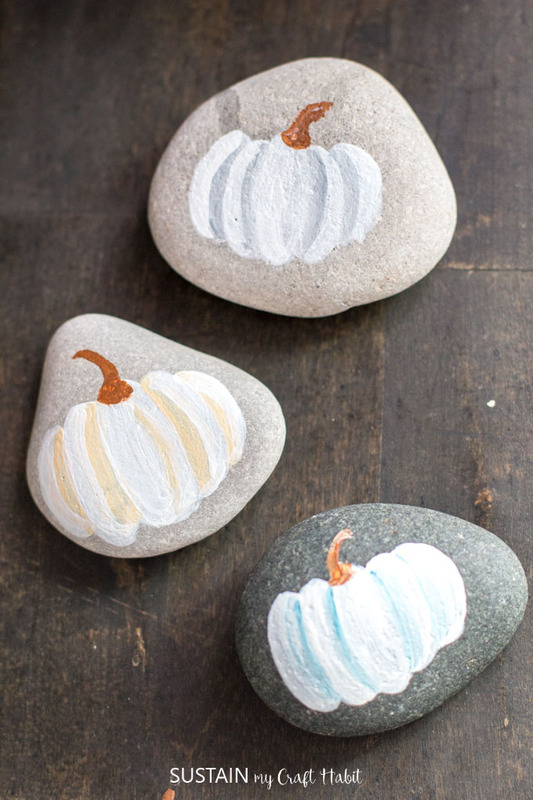 These watercolor-inspired painted rock pumpkins are a fun and versatile fall decor idea: use them as napkin weights, in your fall vignettes or in the garden. 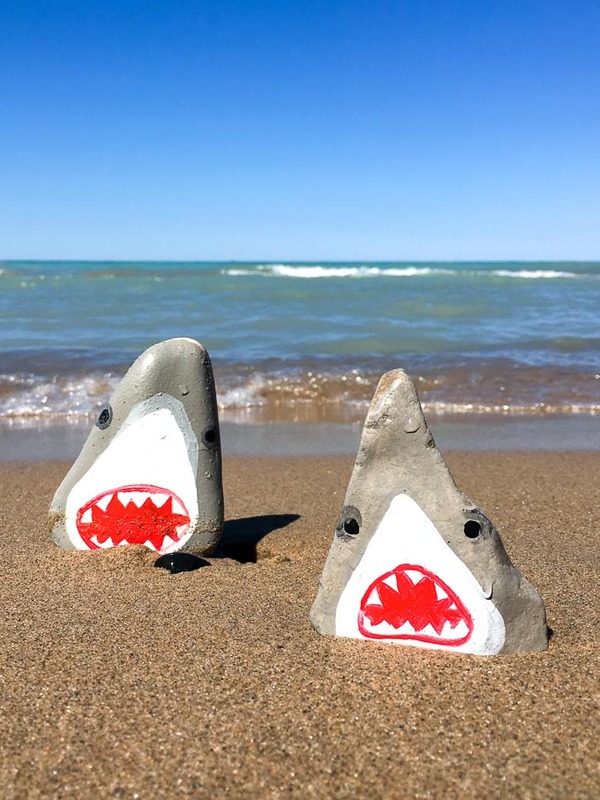 We’ve really enjoyed the rock painting trend and jumped on this past summer. We painted some rock sharks as well as these woodland animals and these friendly critters. So of course we had to try painting some pumpkins – most beach stones have kind of a pumpkin shape after all! These painted stone pumpkins were actually inspired by some watercolor pumpkins Jane painted. We turned them into lovely free printable Thanksgiving place cards which you can download. 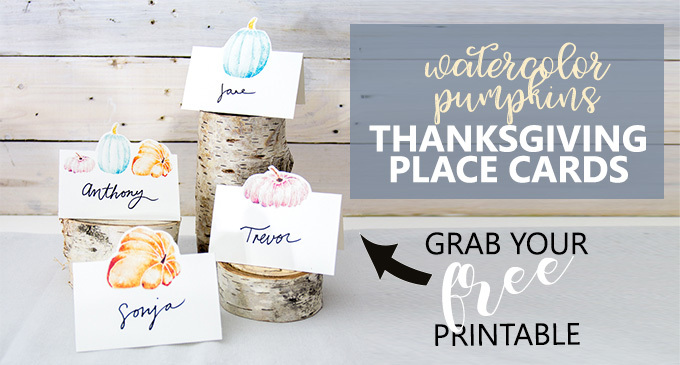 SEND ME THOSE FREE PRINTABLE THANKSGIVING PLACE CARDS! 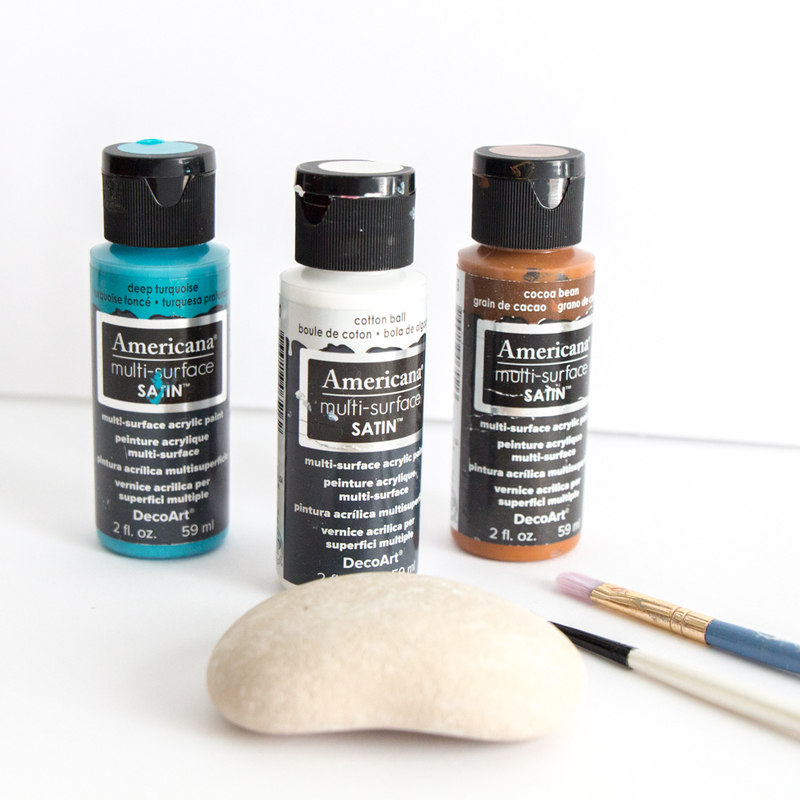 The little watercolor pumpkin rocks are quite easy to paint and only need three colours of paint each. 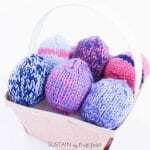 We’ve used them as napkin weights, clustered them together on a shelf or you can even put them in your garden outdoors. It’s just fun trying to paint on a different surface. Here is a quick step-by-step video of the pumpkin rock painting process (say that 3 times fast!). 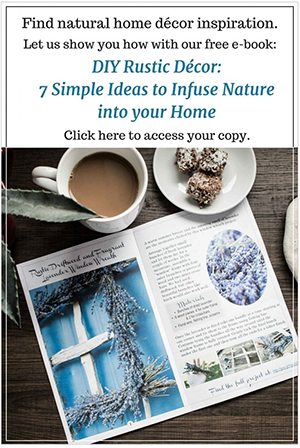 Subscribe to our YouTube channel for nature-inspired DIY, craft and home decor ideas each week. 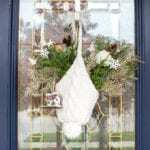 If you’d prefer, visit DecoArt.com for the written rock pumpkins tutorial and additional rock painting ideas. If you enjoyed this simple Thanksgiving decor idea be sure to check out Sonja’s entire Rustic Fall Home Tour for more fall decorating ideas and her woodland-inspired Thanksgiving tablescape. 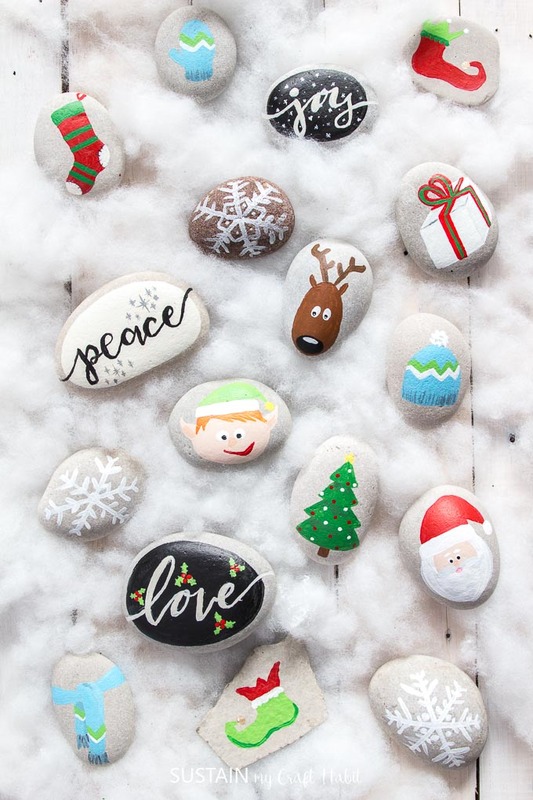 Finally, we’ve recently painted a set of super fun Christmas themed rocks! 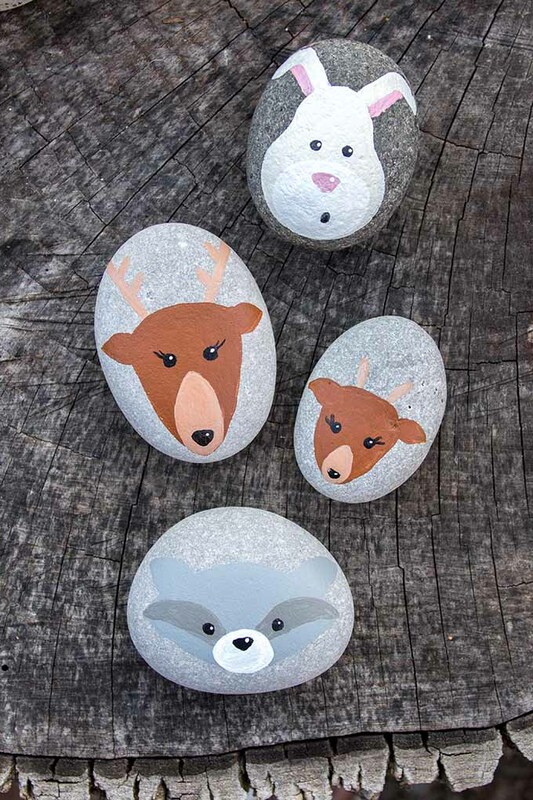 Have you come across any great rock painting ideas? All of your painted rocks are so sweet. And the Thanksgiving place cards are gorgeous! You are such a talented duo. This brings back childhood memories. I remember doing this as a kid. I am going to see if I can recruit my kids. Thanks for bringing back good memories! !